e: 18pt;">Eyebright may help with conjunctivitis, but other eye-related benefits remain theoretical. Alleviating conjunctivitis. A single clinical study demonstrates eyebright’s efficacy in fighting conjunctivitis. Supporting eye health. Eyebright might also be capable of soothing eye inflammation, fatigue, and improving function, but these potential benefits remain untested. 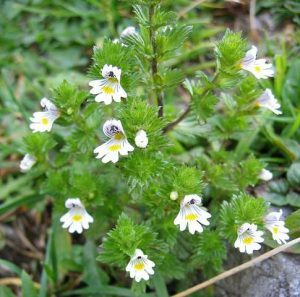 Eyebright (Euphrasia officinalis), also known as Euphrasia rostkoviana, is a small flowering plant widely used by folk and homeopathic medicine. Named for its ability to support eye health, eyebright was first mentioned as a treatment for eye disorders in the 14th century European text “Liticium Medicina”. Today, eyebright remains a popular herbal supplement for alleviating eye conditions such as conjunctivitis (pink eye) and stye, as well as supporting general eye health. However, research evidence supporting its benefits is lacking, and is currently limited to improvement of conjunctivitis. Although it is typically utilized in the form of eye drops, ingesting eyebright is believed to provide eye benefits as well. Eyebright extracts possess free radical scavenging (antioxidant) properties, which can help protect the eyes from oxidative stress. In addition, eyebright and particularly its iridoid constituents have been shown to reduce inflammation, 1 as demonstrated by reduced levels of the inflammatory cytokines IL-1β, IL-6 or TNF-α in isolated human cornea cells. 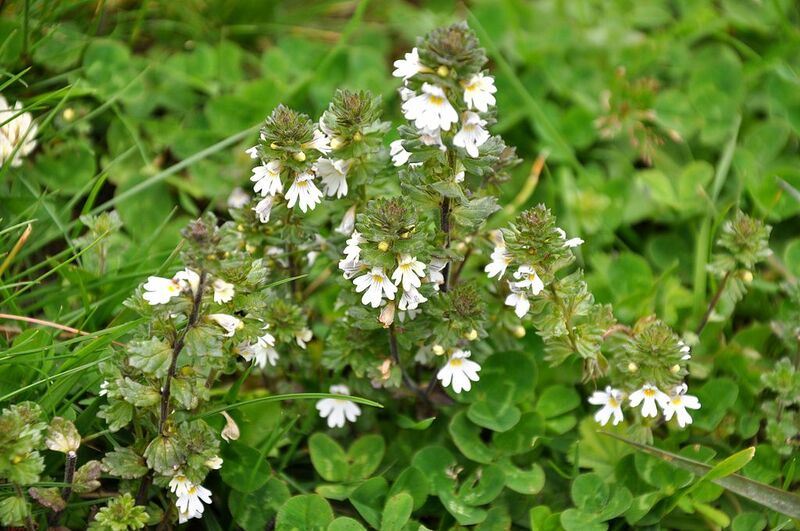 p>Eyebright contains several bio-active compounds that have antibacterial, antifungal, and antiviral properties. For example, its constituent aucubigenin has been shown to hinder the growth of Staphylococcus aureus bacteria. 2 Such effects can help fight pathogen-caused eye infections, such as bacterial conjunctivitis. However, most of these claims and uses remain unsupported by medical studies. At this time, the only research-backed use of eyebright (in the form of drops) is to help with conjuctivis, but even in this case the amount of research evidence is small. When taken internally, eyebright is also used to help sinus infections, nasal congestion, coughs, sore throats, allergies, and other infections and inflammatory conditions, suggesting its potential as an immunity supplement. This test tube study examined the effects of three different extracts of eyebright – ethanol, ethyl acetate and heptane – on isolated eye cells. The researchers used cells found on the surface (epithelium) of the cornea to imitate the application of eyebright to an actual eye. They found that all 3 extracts decreased the levels of inflammatory cytokines (IL-1β, IL-6 or TNF-α) as well as a single anti-inflammatory cytokine (IL-10), and that two of the extracts also demonstrated antioxidant properties. This study examined the use of eyebright drops in people with conjunctivitis. A total of 65 patients took eyebright eye drops 1 – 5 times daily as needed for 2 weeks. More than 85% of the participants had significant improvement of conjunctivitis, including 53 who had complete recovery. Side effects are rare, but an allergic reaction to eyebright can occur. yebright supplements are made from the stem, leaf, and flower (aerial) parts of the plant. Eyebright 1 drop 1-3 times a day for vision. Eyebright might help with conjunctivitis. Although studies are limited, research suggests that eyebright may be helpful for fighting conjucntivitis. 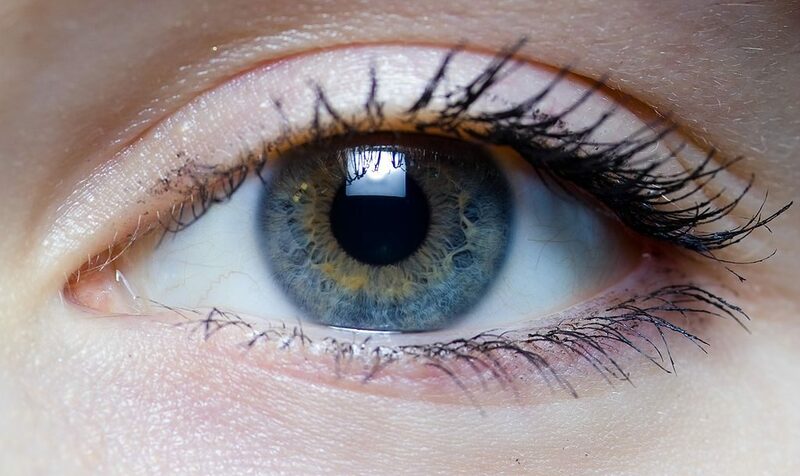 Its general eye-health benefits, however, do not currently have any research backing and remain theoretical. There is currently no official dosage recommendation for eyebright. Given the lack of research, it’s not yet clear which dose is ideal, although 1-3 drops daily has been suggested.